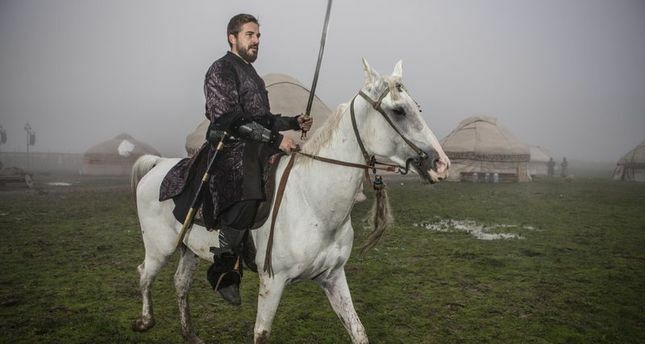 Turkey's new television series 'Resurrection: Ertuğrul' ("Diriliş Ertuğrul" in Turkish), the first episode of which aired on Wednesday night on the television channel TRT, has topped television ratings. The series was the most watched programme on Wednesday, according to the rating figures of the AB group, which represents educated and high-income earners in Turkey. The series centers around the life of Ertuğrul, the father of Osman I, founder of the Ottoman Empire. Ertuğrul was the leader of the Kayı clan of the Oghuz Turks. When he arrived in Anatolia from Merv (Turkmenistan) with his 400 horsemen to aid the Seljuks of Rum against the Byzantines, he set off a chain of events that would ultimately lead to the founding of the Ottoman Empire. The series gives a glimpse of what the Ottoman Empire was like when it was first founded. Rating figures marked 'Resurrection: Ertuğrul' as the best breakthrough Turkish TV series of the 2014 Season.The first episode shook Turkish social media after it was aired on Wednesday, with some people comparing it to the 'Game of Thrones' series, aired in the U.S. Many social media users praised the series for its accurate description of the Ottoman history and the hashtag #Diriliş ('Resurrection') became one of the most popular trending Twitter hashtags.